Knowledge base merging is one of active research fields with a large range of applications in Artificial Intelligence. Most of the works in this research field has a lot of restrictions such as in the centralized approach, drowning effect, it is difficult to apply to interactive systems such as multi-agent systems as well as omitting knowledge in the merging process. The purpose of this paper is to focus on the integration of possibilistic knowledge bases in the propositional sense in propositional language. The integration is done through the special possibility distribution of possibilistic knowledge bases. To solve that problem, we introduce a new powerful argumentation framework for merging knowledge bases. In order to model this argument, firstly, the source knowledge bases of each agent are ranked in order of priority and the merging of prior knowledge bases into a priority knowledge base and then infer the final knowledge. 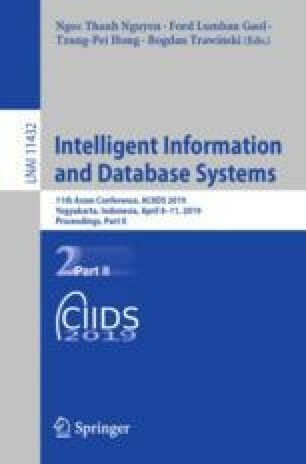 An axiomatic model, including a set of rational and intuitive postulates is interested and discussed so that the merging result of knowledge bases needs to be satisfied.